Source: I received a complimentary copy. All opinions expressed are my own and are voluntarily given. Luciana goes on a business trip around the Christmas holidays and meets Jack. There is a subtle chemistry there and I loved watching it slowly bloom, especially during the town's holiday celebration. With her time limited in the town, there is a hint of melancholy an uncertainty, but that is all overshadowed by romance and tradition. Food is such an important part of traditions for me and my family and I really enjoyed the descriptions and significance of food in this story. I also love the flavor of Portugal that this author weaves into her stories. 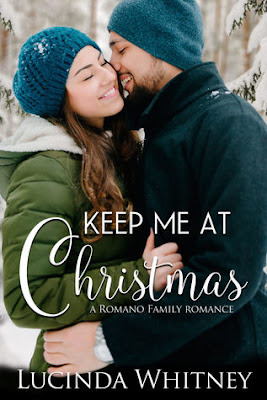 This plot is exactly the type that is satisfying for a holiday read--light, sweet, heartwarming, and fun--especially when a blizzard grounds Luciana's plane and Jack's family takes her in. With a cast of great characters and an entertaining romance, this one is a Christmas hit.